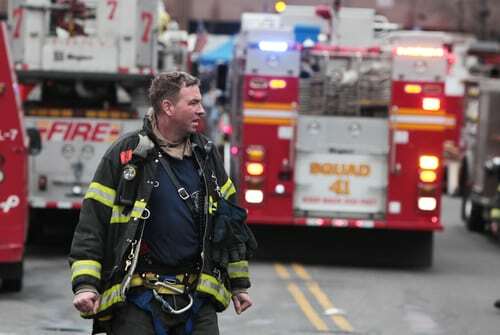 Many first responders struggle with mental health issues such as depression or post-traumatic stress disorder (PTSD) due to traumatic emergency response situations. Addiction and mental health issues often have a direct relationship with one another as co-occurring issues. For many first responders of the 9/11 terrorist attacks, the anniversary of the tragic event can trigger PTSD and substance use to cope. By understanding that PTSD and substance use disorders coexist, they can be treated more-effectively as a dual diagnosis. People suffering from PTSD often have flashbacks and relive the event repeatedly. They may avoid certain places or people and can be easily startled and have angry outbursts. Serena Gordon wrote an article for Healthday News (2018) on new research that suggests PTSD may put 9/11 first responders’ hearts at increased risk for heart and stroke. Mental health is particularly important to study in the context of disasters, because often in such events as 9/11, loved ones are lost suddenly, horrifically, and unexpectedly. It can be difficult to ask for help. Cypress Lakes Lodge offers treatment for dual diagnosis. If you or a loved one is suffering from a mental health condition and substance use disorder or addiction, do not wait another day. Get help now. Mental health conditions, such as PTSD with co-occurring substance use disorder are treatable and recovery is possible.